Indian Muslims form the largest ethnic minority within Singapore’s otherwise largely Malay Muslim community. Despite its size and historic importance, however, Singaporean Indian Muslims have received little attention by scholarship and have also felt side-lined by Singapore’s Malay-dominated Muslim institutions. Since the 1980s, demands for a better representation of Indian Muslims and access to religious services have intensified, while there has been a concomitant debate over who has the right to speak for Indian Muslims. 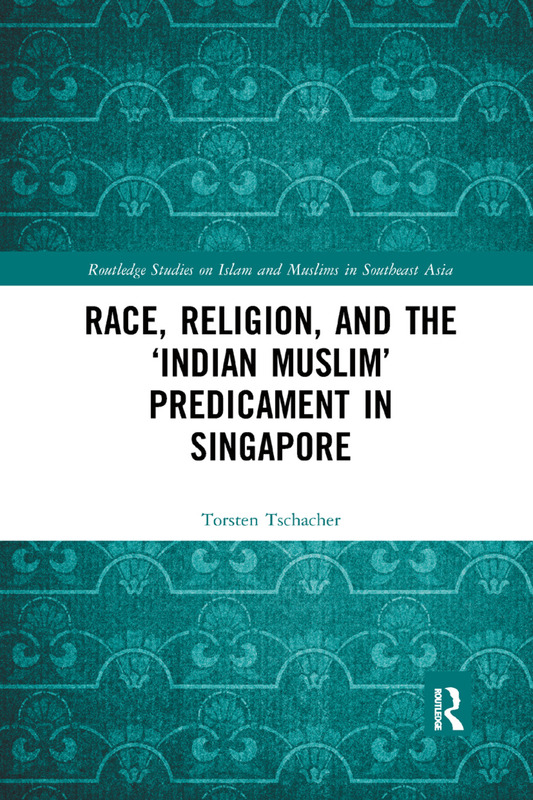 This book traces the negotiations and contestations over Indian Muslim difference in Singapore and examines the conditions that have given rise to these debates. Despite considerable differences existing within the putative Indian Muslim community, the way this community is imagined is surprisingly uniform. Through discussions of the importance of ethnic difference for social and religious divisions among Singaporean Indian Muslims, the role of ‘culture’ and ‘race’ in debates about popular religion, the invocation of language and history in negotiations with the wider Malay-Muslim context, and the institutional setting in which contestations of Indian Muslim difference take place, this book argues that these debates emerge from the structural tensions resulting from the intersection of race and religion in the public organization of Islam in Singapore. Torsten Tschacher is Junior-Professor at the Institute for Islamic Studies, Freie Universität Berlin.